BANGKOK, Aug 30 – Thailand’s Ministry of Public Health has remained vigilant for the possibility of an outbreak of bird flu after patients contracting the disease were reported in Vietnam and Cambodia, but no patients and no poultry dying of suspicious causes have been reported here. Dr Pasakorn Akarasewi, director of Thailand’s Bureau of Epidemiology said that the United Nations (UN ) warned of a possible resurgence of the bird flu outbreak, calling for all countries to heighten surveillance. According to the latest report, a six-year-old girl is among the eight deaths from avian flu virus H5N1 in Cambodia this year. However, in Thailand, there have been no H5N1 patients so far and no suspicious deaths of poultry. 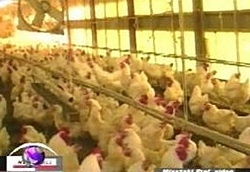 The public health ministry has cooperated with the livestock department to monitor the situation closely after Vietnam and Cambodia reported H5N1 patients. Regarding drug resistance problems, he said no irregularity was detected in the use of influenza drug Tamiflu (Oseltamivir). Government Pharmaceutical Organization (GPO) head said there have been no reports of the H5N1 avian influenza virus showing resistance to Tamiflu from Chulalongkorn University, the Disease Control Department and the public health ministry, which have duties to keep surveillance of the diseases. More than 20 million doses of Tamiflu produced in 2009 are in Thailand’s stockpile, and the drug expires seven years after its manufacturing date. The GPO started testing live, attenuated influenza vaccine from H5N3 virus. If succeeded, it can be used to prevent the infection. The United Nations Food and Agriculture Organization (FAO) said migrating birds caused the H5N1 to spread to many countries, but no outbreak has been reported for several years in Israel, Palestine, Bulgaria, Romania, Nepal and Mongolia. Since the virus emerged in 2003, it has claimed 331 lives and infected 565 people.